And we're back to Drake. 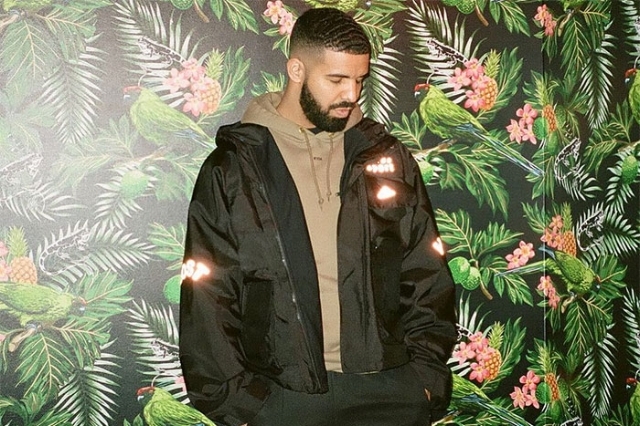 The singer/rapper currently occupies the top two spots on the Billboard Hot 100 singles chart, with "God's Plan" at No. 2, having been displaced from the No. 1 slot by his new single "Nice for What." We've already talked about the former, so let's dig into the latter. A bounce-style beat carries the track as Drake lays out rapid-fire lyrics in a sing-song patter. The song is said to be about female empowerment, and Drake raps admiringly about a woman handling her business with aplomb: "I've been peepin' what you bringin' to the table/ Workin' hard, girl, everything paid for/ First-last, phone bill, car note, cable." Even more notable, though, is the completely wasted sample of "Ex-Factor" by Lauryn Hill. The subtlety and soul of her track gets overshadowed by the clattering clutter of "Nice for What" — Spin wrote about how Drake built on Hill's hook, but after the intro, her melody becomes mere background under the tat-tat-tat rhythm. In other words, it's basically another vacuous showcase for Drake, an MC whose confidence on the mic outpaces his skill as a rapper, or lyricist. Then again, confidence counts for a lot: 16 of his singles have reached the top 10 on the Hot 100 chart, which is impressive, even if you're not a fan (and have we established that I'm not?). At least the video, directed by Karena Evans, pays tribute to powerful women in entertainment, including Olivia Wilde, Misty Copeland, Rashida Jones, Issa Rae and Zoe Saldana. And in other promising news, there are a handful of Cardi B tracks climbing the chart. Can one of them unseat Drake? We'll see.